Two Spartans helped create the imagery for 2013 Academy Award Winner “Brave.” Art Director Noah Klocek, ’04 animation/illustration, and Set Artist Paul Abadilla,’08 animation/illustration, brought to the Pixar film, which won for Best Animated Feature Film, skills honed while they were students of SJSU’s Animation/Illustration Program. 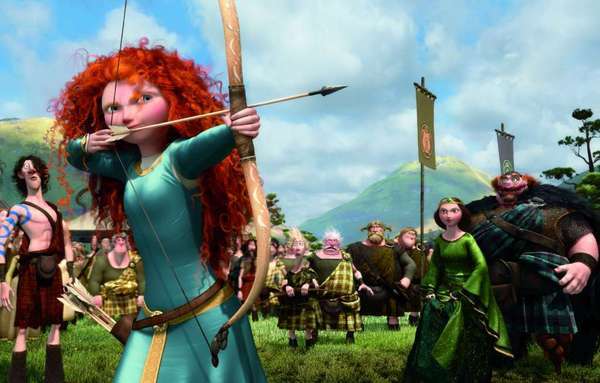 “Brave” tells the story of Merida, “a high-spirited Scottish princess who resists her mother’s efforts to transform her into a more ladylike young woman. Faced with an arranged marriage she doesn’t want, Merida runs away into the forest, where she encounters a witch who teaches her a dangerous spell,” the Oscars website says. Originally conceived to give locals a chance to compete for careers in the screen arts, SJSU’s Animation/Illustration program now attracts students nationally and internationally.